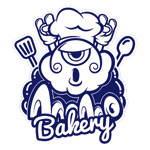 Momo Bakery brings your premium quality yet affordable e-juice to the comfort of your own home. Every bottle is crafted using only the best quality ingredients to ensure you enjoy a wonderful vaping experience every time. Momo Bakery consists of 3 flavours each packing intense flavour guaranteed to leave you wanting more.